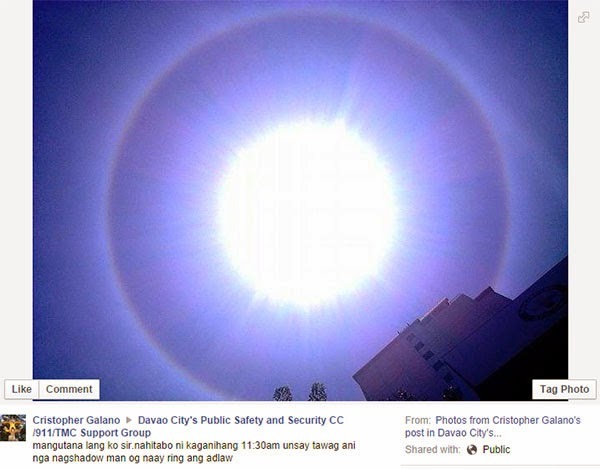 Davao City residents were able to spot and capture in photos a sun halo that occured around noontime on Thursday, September 18, 2014. 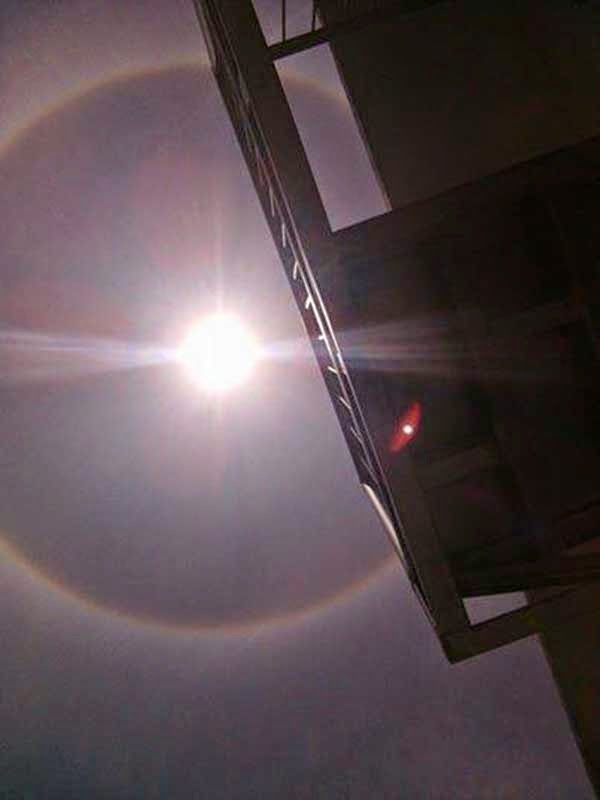 Facebook user Cristopher Galano‎ said he saw the circular ring around the sun at 11:30 a.m. while others spotted it just a few minutes earlier. Should people get worried? No. 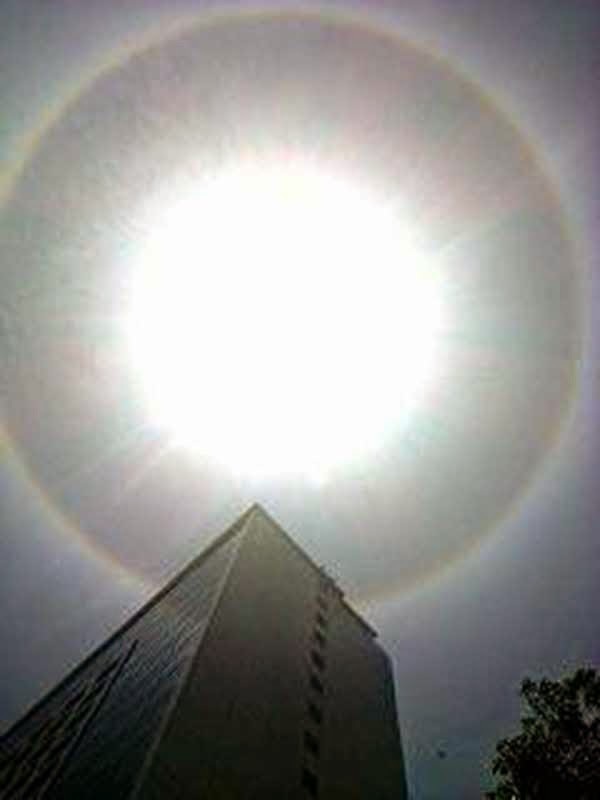 It's just a natural phenomenon. 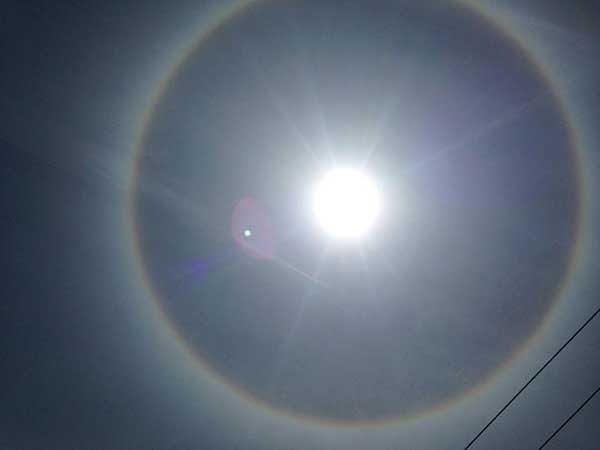 According to Wikipedia, a "halo (also known as a nimbus, icebow or gloriole) is an optical phenomenon produced by ice crystals creating colored or white arcs and spots in the sky. 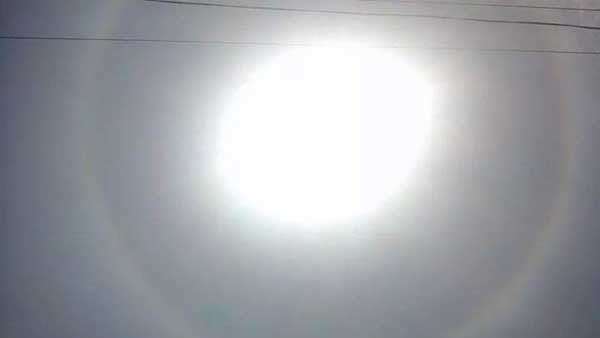 Many are near the sun or moon but others are elsewhere and even in the opposite part of the sky." 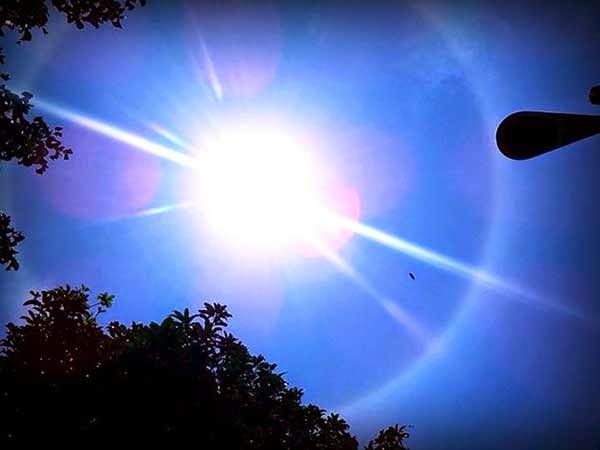 "Also known as a 22 degree halo or a sun halo, the ring is caused by sunlight passing through ice crystals in cirrus clouds within the Earth's atmosphere," explains the University of Illinois' Weather World Project 2010.